Sharmila Murat is the General Manager of the Tryano and Saks Fifth Avenue department store businesses within the Chalhoub Group, the leading partner for luxury across the Middle East. Tryano is a leading concept department store based in Abu Dhabi and now online through Tryano.com offering guests exceptional experiences and a carefully curated edit of the best global and regional fashion and beauty brands. Saks Fifth Avenue in Bahrain is the only Saks in the Middle East and the leading luxury department store in Bahrain and Eastern Saudi Arabia. Sharmila started her career in New York in management consulting and then private equity before moving into the retail industry with the Warnaco Group. In 2010, Sharmila joined Chalhoub heading the finance function for the retail division across the region before becoming General Manager UAE Retail in 2014 and then Country Manager UAE in 2017. In 2016, she also assumed responsibility for and restructured the Saks Fifth Avenue Middle East business. Her understanding of the regional markets and consumers combined with her experience in retail led her to her current role with Tryano and Saks. Sharmila also volunteers her time as a mentor with Endeavor and has served as a selection panelist on both local and international selection panels. 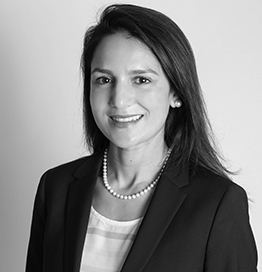 Born and raised in Chicago, Sharmila Murat holds a BS in Electrical Engineering from the University of Illinois and an MBA in Finance from the Wharton School.